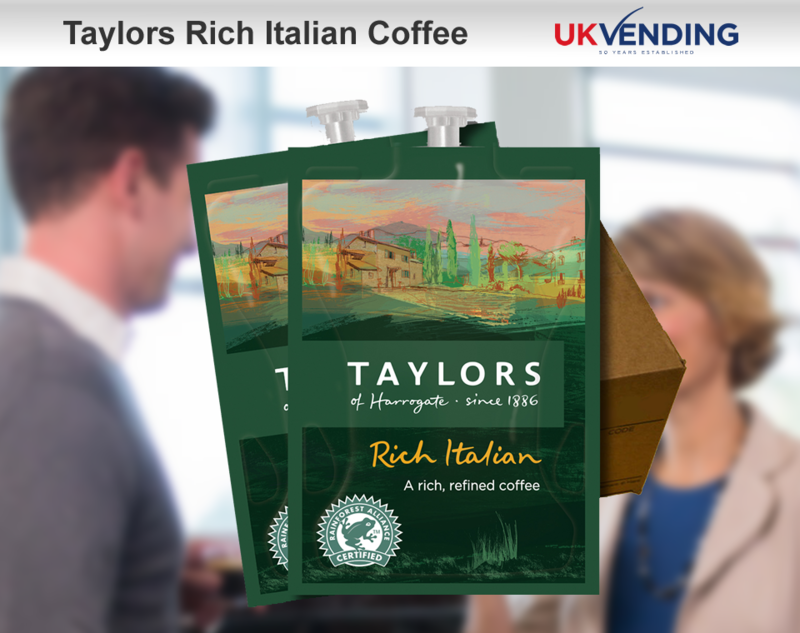 TAYLORS Rich Italian Coffee is a coffee with class. Inspired by the elegant blends of northern Italy, it's a sophisticated medium dark roast with the perfect combination of chocolaty Brazilian beans and subtly sweet beans from Africa and Central America. TAYLORS Rich Italian Coffee is 100% from Rainforest Alliance Certified™ Farms.